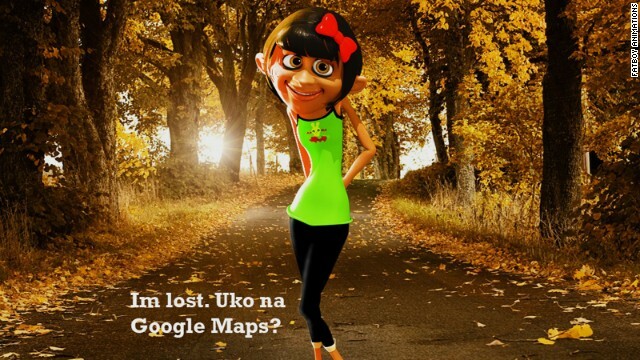 Kenyan companies are turning to 3D advertising to engage with audiences and lure investors. 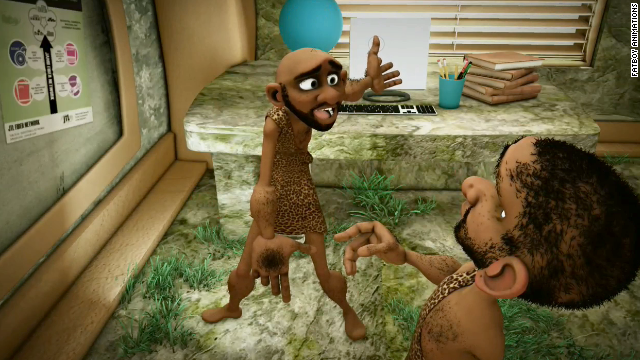 Created for a telecommunications operator, the "Faiba" cavemen ad became the talk of the town last year in Kenya. 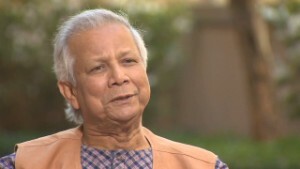 Its success spurred the development of a whole new series. Michael Muthiga, of Fatboy Animations, is the man behind the successful five-part animated series. He says Kenya's advertising industry is "booming." Fatboy Animations has also created 3D animated ads for mobile network operator Safaricom. "Most clients want to go that way, animation -- whatever creates a buzz with the audience, that's what the client will want to go for," says Muthiga. (CNN) -- The bleary-eyed caveman is furious. He's been waiting for ages for a file to download only to be failed by slow internet speeds. Frustrated, he slaps his computer screen and then slumps down defeated on his seat. Behind him, another caveman connected to high-speed internet pokes fun at him. Showing off, he clicks a button and downloads his favorite song in just a couple of seconds before bursting into a highly entertaining dance. Featuring what has become one of Kenya's most popular TV characters, this catchy and memorable 3D ad for the Faiba internet service went viral in the East African country when it was first aired last year. And this was exactly what animator Michael Muthiga hoped to achieve when he created it for Kenyan telecommunications operator Jamii Telecommunications Limited (JTL). "Firstly, it was the fact that it was a new medium of advertising and people didn't expect it," says Muthiga, director at Fatboy Animations, citing the reasons for the ad's popularity. "Second, the creativity in it and the story, the whole concept, it was a funny one. Thirdly, we actually sat down to decide how we wanted this character to look and I think that went a long way also in making it a big success." The popularity of that first ad spurred the creation of a whole new series of cavemen ads, which in turn helped JTL to become a household name. "I think it gave a freshness that then got people thinking and saying, 'these guys have brought on something that is new to the market, let's give them a chance,'" says Cyrus Sang of JTL. "That gave us the advantage." But this gain did not come cheap. 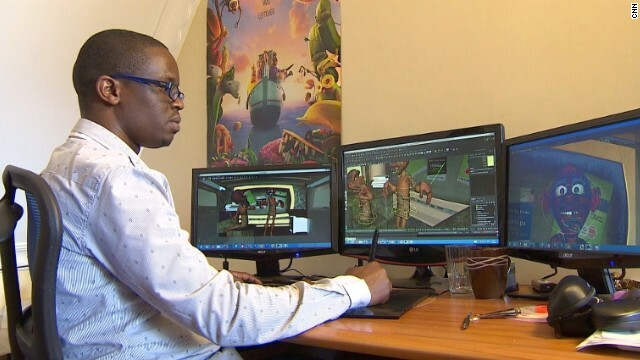 Creating a 3D animation commercial in Kenya will set a company back several thousand dollars. "We spent, I mean, quite a huge sum on this advertising project and it was worth every penny that we put into it," says Sang. Though 3D animation is nothing new in Kenya, it has not been widely used in TV commercials. 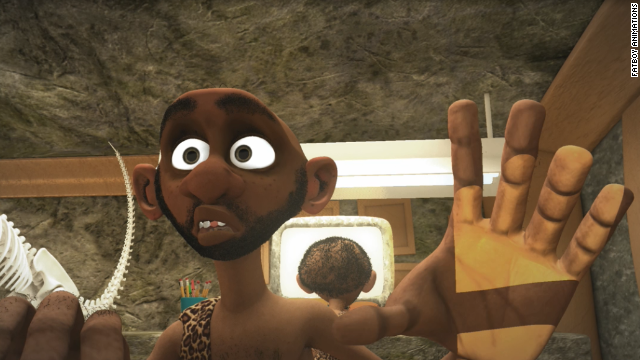 But after the big success of the five-part animated cavemen series, Muthiga says that the industry is now growing at a fast pace. 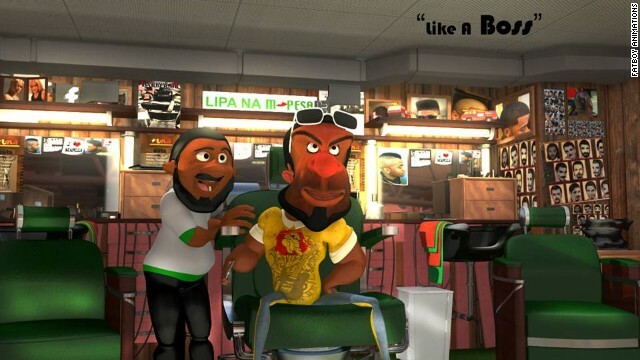 "As far as advertising is concerned 3D animation is booming," says Muthiga. "Most clients want to go that way, animation -- whatever creates a buzz with the audience, that's what the client will want to go for," he adds. The emphasis on advertising is also a sign of a changing and improved economic environment. According to the World Bank, the Kenyan economy expanded by 4.6% last year, in line with a wider trend that sees many African countries routinely among the fastest growing economies in the world. This big growth potential is increasingly attracting profit-seeking international investors. As far as advertising is concerned 3D animation is booming. Cynthia Nyamai, a Kenyan public relations consultant says that the new players in the field are shrinking the market share and forcing local companies to spend bigger sums to be more visible. "For a very long time in the African markets, and also in Kenya, people didn't really take advertising that seriously," she says. "In fact, if you look at most companies, when it comes to advertising, when it comes to their budget, unfortunately advertising used to take a very small percentage," adds Nyamai. "This is a market and new people are coming in so they need to be heard, they're fighting for the same market space so a lot of companies now have to spend more in advertising." This can only be good news for people like Muthiga. The young animator says the only way is up for the industry as it has only scratched the surface. "We've just tapped into a very small segment of the animation industry, very tiny," he says. "There's so much which we can do which we still haven't done and I believe in my lifetime, and the lifetime of my company we might not even get to do half of the whole industry."